Six section full power synchronized telescoping boom, 17.4′-78′ (5.3m-23.8m), of box construction with 4 sheaves, 9-5/16″ (0.236m) root diameter, at boom head. The synchronization system consists of two double acting telescope cylinders, extension cables and retraction cables. Hydraulic cylinder fitted with holding valve. Boom telescope sections are supported by wear pads both vertically and horizontally. Extension speed 60.6′ (18.5m) in 52 seconds. Boom Elevation by a double acting hydraulic cylinder with holding valve. Elevation -3-82 degrees, combination controls for hand or foot operation. Automatic speed reduction and soft stop function. Elevation speed -3-82 degrees in 29 seconds. 150 ft. of main boom for a total main boom tip height of 159 ft. The crawler can be transported in 3-4 loads depending on highway load restrictions. 20 degree tilting cab. 3 track width positions. Will pick-and-carry the whole chart! 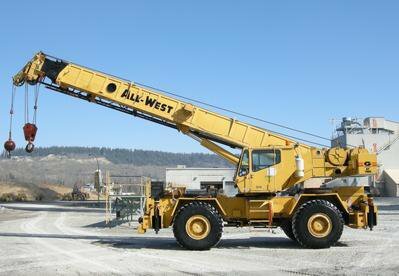 Assembles and Disassembles itself without a helper crane for quick mobilization & superb job site mobility. 40% gradeability. 162 ft of main boom with an optional 35-90 ft. of jib with 2-45 degree offset. 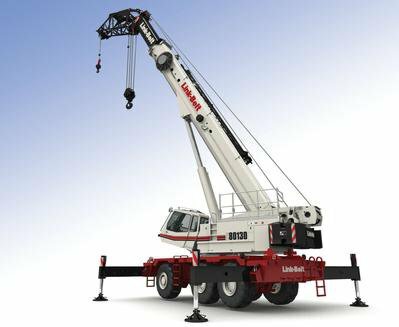 Maximum tip height of 278 ft. Crane can mobilize and demobilize without the use of a helper crane and can be transported in 2 loads. Outriggers extend to three positions allowing for variable lifting capacities in confined areas. 26 x 26 ft. square outrigger pattern at full extension. Pick-and-carry capability in excess of 40,000 lbs. 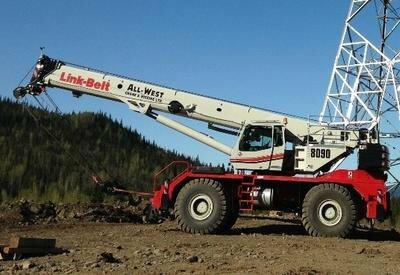 This crane can set-up and be hook ready in 1.5 hours. The RTC80130 is the fastest, most versatile crane in its class! 140 ft of main boom with an optional 35-90 ft. of jib with 2-45-degree offset. Maximum tip height of 238 ft. Removable counterweights. Outriggers extend to 3 positions allowing for lifting capacities in confined areas. 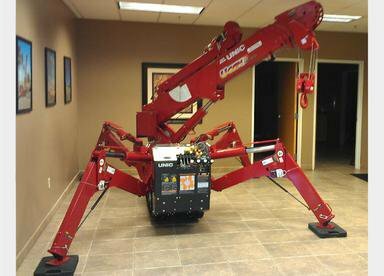 With fully extended outriggers, the crane takes up only a 24 x 24-foot square. 115 ft of main boom with an optional 35-90 ft. of jib with 2-45 degree offset. Maximum tip height of 211 ft. Fully rigged transport weight of less than 90,000 lbs., which means it can be mobilized in only one load. Outriggers extend to 3 positions. 24 x 24 ft. square outrigger pattern at full extension. 110 ft of main boom, with an optional 28.5-51 ft. two-piece off-settable fly for a total of 168 ft. maximum tip height. Offset options of 2, 20, and 40 degrees. Outriggers extend to 3 positions for easy set up in confined areas. This crane was made for tight working conditions. 110 ft. of main boom, with an optional 32-56 ft. of jib with 0-30-degree offset. Maximum tip height of 173 ft.
140 ft. of Main boom with an optional 38-58 ft. of jib with 2-45 degree offset. Maximum tip height of 237 ft. 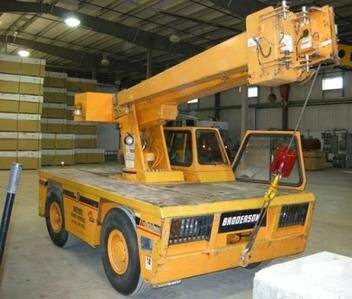 This crane has excellent transportability; it can be configured to meet some of the most challenging transportation laws. 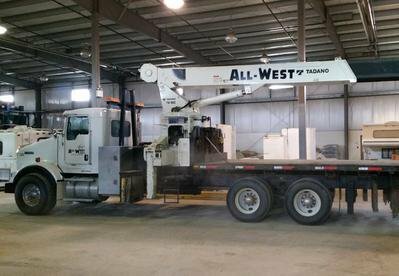 With a quick mobilization time, large lifting capacity, and state of the art safety features, this crane is as versatile as it gets. 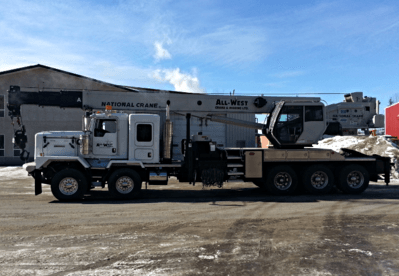 The NBT 55 is the largest capacity swing cab boom truck to date from National Crane. 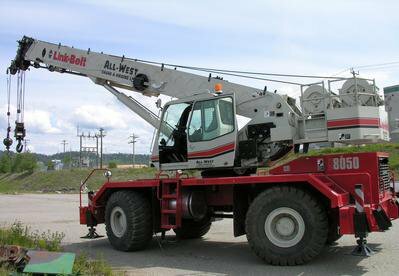 It is equipped with a 102 ft four-section full power boom and has an overall tip height of 109 ft. 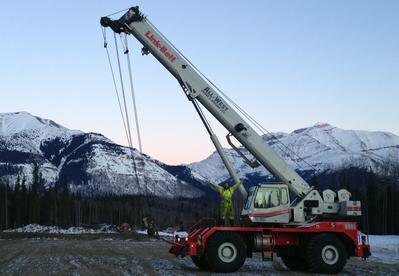 Hydraulic crane mounted on a 2007 T800 Kenworth, 18-82 ft. of main boom. 360-degree continuous rotation boom. Boom stowage over back or front. Radio remote control. 18 ft. flat-deck. 24 ft. boom + 10 ft. swing-away jib. 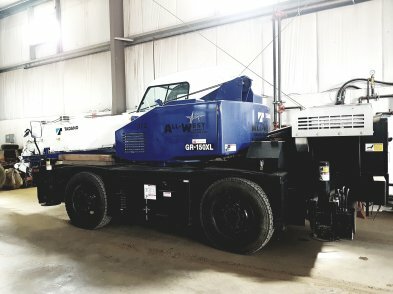 The URW295 mini-crawler is less than 24″ wide making travel through a standard size doorway easy and with its light weight design, this crane can be moved from floor to floor in a standard freight elevator. The crane moves with ease on dual rubber tracks. 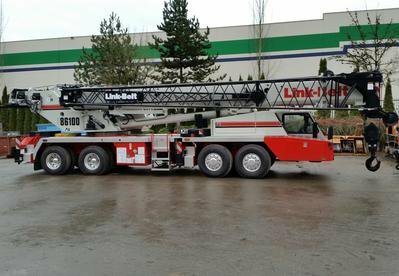 The compactness of the URW295 will let you travel where other cranes cannot and give you the lifting capability of 6,450 lbs. at 4.6 ft. All Spydercranes are equipped with a wireless radio-remote control system, which frees the operator of being tethered to the crane for unlimited operator positioning. 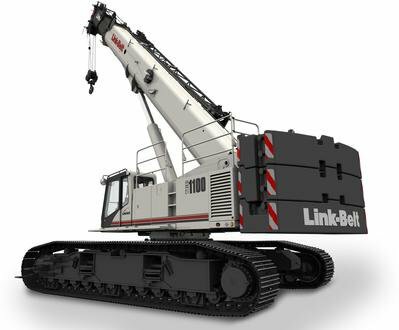 All cranes are also equipped with 360 degree continuous rotation and the Infinitely Variable Control System to include automatic throttler advancements upon hydraulic demand.